One of the things I love about writing a new book is discovering the setting. I love fascinating places, and I love working them into my stories. For example, the city where TUGL takes place is based loosely on Dubai. On my second trip to Ghana, I had a 12 hour layover there. It would have been yuck anywhere else, but I've never been in an airport like that. It was a cross between a luxury mall and a swanky hotel. Dubai is the height of luxury, with man-made islands, indoor skiing, and elaborate architecture. It fascinates me, so I took it, modified it, and stuck it in my story. My husband thinks it's odd that I base so many of my settings on places I've been in real life, but for me, it makes the setting come alive. So how do you take a place you love and turn it into a unique setting? I'm going to use an example from Devs, since it's fairly complete at this point. 1. Think about what the story needs in a setting. I have a scene in Devs that involves a secret meeting. I wanted the setting to be creepy, and symbolize decay-- but I also wanted reminders of how the world was before the decay. 2. Think of places in your life that could fit those needs. I had a hard time with this one, actually. I didn't want it to be a warehouse or an abandoned mall. Those felt too cliche. After some thought, I decided to place it in a looted and abandoned sporting goods store. I've been in plenty of them, and it was a good, "normal" type of place you'd find on any American main street. 3. Come up with details from that place to enhance the needs of the setting. I pictured my own local sporting goods store in my mind, going over all the things that were there-- and figuring out what things would be left if the place got looted. That's when I came up with the pool table. Nobody could carry it out during a looting. So I left it there in my scene. It was a perfect, haunting representation of the world that had decayed. 4. If you can, twist the setting a bit so it's more unique. That particular scene in Devs actually didn't need much twisting (beyond turning it into a dilapidated dump). It was small, and worked for the needs of the scene. But one of my larger settings is based on Dugway Proving Ground, which I visited to do some research. The base had some awesome places I could use for my setting, but I had to modify them. I twisted the entire base around, changing locations, adding whole areas, removing things I didn't need, and tossing in new details. I used the nature of the setting to enhance my twists. Dugway, for example, tests military weapons in the middle of the desert. So I added a testing mine field that makes things a little more complicated for my protagonist. Is that mine field really a part of Dugway? Nope, but it sure worked out well for the story. Using places from your own life can be a wonderful way to bring life and vibrance to your setting, and therefore your story. I love building settings that way-- and I love all the twists and turns that come up along the way. So, my friends, do you use real places when you create your settings? What are some examples? What are some of your favorite settings in books you've read? Don't forget, tomorrow is the last day of the raffle! 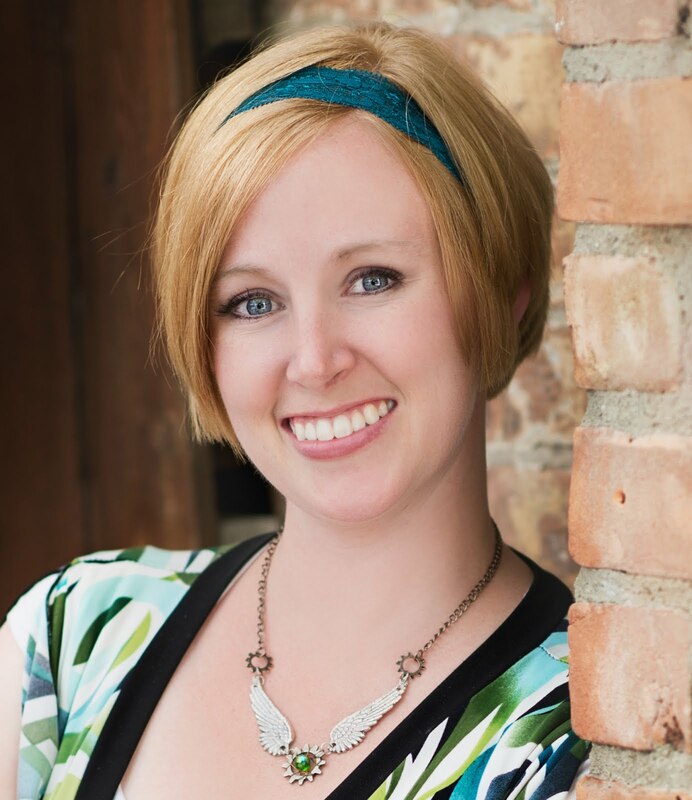 You've only got one more chance to enter to win a critique from Sarah LaPolla and C.A. Marshall, and help five kids in Ghana get an education! I've never done it that way before, but it sounds like a great idea! I'm definitely going to try it. OOh all good points to think about! I've done both, actually--it's easy to fall back on what you know but way more interesting to stretch your imagination! These are all great tips. I especially like #4. Twisting it to make it extraordinary. These are wonderful tips, Shallee. Thanks for sharing them with us. You're absolutely right: having truth in my settings helps to keep me grounded. Example: my book takes place in the ancient Roman forum, and I wrote a large portion of the book before visiting the forum. After seeing it myself, everything in the book became much clearer to me. Yet the forum today looks nothing like it did in my book. I really only had a foundation to work from, but that foundation made all the difference. I have hardly ever traveled anywhere, so I envy you in that. I think it is a great idea to use real places as a jumping off point for imaginary settings. I am almost done with Devs. Like 10 pages left or so. I LOVE it! 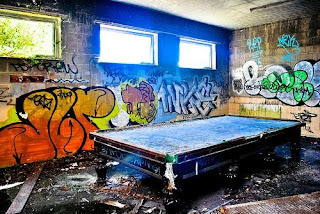 By the way, that picture you have with the graffiti and pool table is PERFECT! And that's SO cool that you went to Dubai...even if it was just the airport. Douglas Adams would like your blog subtitle.